Jim is originally from Allentown, PA. He is a graduate in Accounting with a minor in Spanish from Virginia Tech. He spent the first 10 years of his career as an Auditor for Arthur Anderson and Director of Finance at Pulte Homes. Trish grew up outside of Pittsburgh, PA and attended Penn State University with a major in Accounting. She began her career as an auditor at KPMG (where Trish and Jim's story began), but soon found her passion in the retail industry as an Account Executive for Liz Claiborne in New York City. Things got interesting in 2007 as the recession was in full swing and both Jim and Trish found themselves laid off with a baby on the way. An opportunity to open a SERVPRO franchise in Hunt Valley, MD presented itself and they are thankful every day not only for the opportunity, but for the optimism youth brings, and the work ethic and determination a growing family can instill. The doors to the Hunt Valley/Lutherville franchise opened on Memorial Day, 2009. It was an undeveloped territory with no other SERVPRO franchises ever operating out of Northern Baltimore County prior to the Wall's ownership. Naturally, their business began as small residential clean up and restoration work, but has quickly grown through the years to service commercial and residential neighbors in the Mid-Atlantic region on a regular basis. In 2013, Harford County was acquired from a retiring owner, and just recently, they have opened a franchise in New Cumberland/Carlisle, PA. 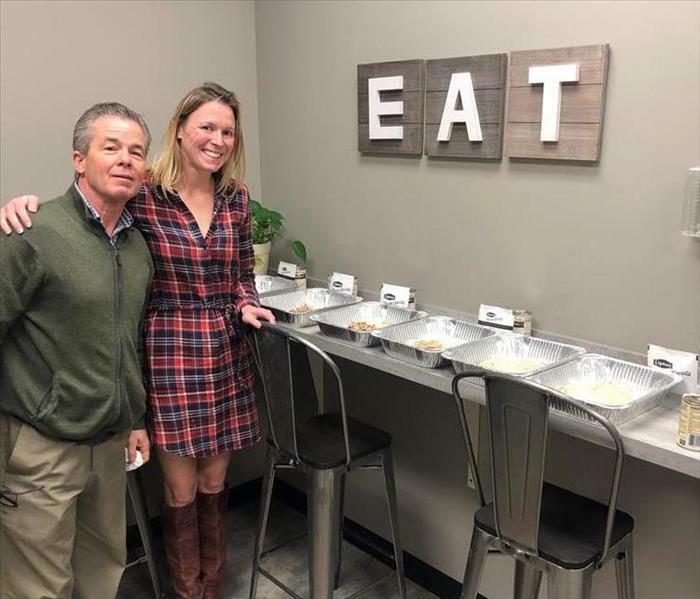 These additional offices provide our company with more resources and capabilities to further serve our neighboring communities. But, when disaster strikes elsewhere in the country, our Disaster Recovery Team is on the road immediately to help those in need. Our team is proud to help people when they need it most. "Restoring peace of mind to EVERY customer. EVERY day" is our company's vision statement and we are blessed with a team that makes this vision a daily reality. SERVPRO of Harford County understands the stress and worry that comes with a fire or water damage and the disruption it causes your life and home or business. Our goal is to help minimize the interruption to your life and quickly make it "Like it never even happened." SERVPRO of Harford County specializes in the cleanup and restoration of residential and commercial property after a fire, smoke or water damage. SERVPRO of Harford County can also mitigate mold and mildew from your home or business. Our staff is highly trained in property damage restoration. From initial and ongoing training at SERVPRO’s corporate training facility to regular IICRC-industry certification, rest assured our staff is equipped with the knowledge to restore your property. 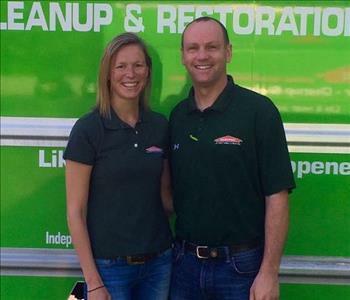 With a nationwide system of qualified franchises, no damage is too large or too small for SERVPRO of Harford County.